Yes, I know that January is nearly over, so it seems a bit silly to be publishing a Black Friday post right now. But, as past years, the bulk of my shopping this year consisted of purchases I made in the US and shipped to the border. I only managed to pick up my items this past weekend, due to lack of time. So here we are. After a disappointingly small Canadian Black Friday shopping haul (see Part 1 of this post), I had higher hopes for my stateside buys. The deals in the US tend to be better on Black Friday — after all, it’s really their holiday, not ours. And of course, there’s far more selection for petites at US retailers. I started things off with my big Macy’s mega-purchase. I’ve done this for the past few years now, as my main annual shopping spree. Unfortunately, there are still a few annoyances related to cross-border shopping at Macy’s: They tend to break orders into multiple shipments, which can be costly when you’re paying $5 USD per shipment at your border mail place. Their website is also still incapable of handling a US shipping address combined with a Canadian billing address, necessitating a long and frustrating phone call to their customer service department to complete each order. Nonetheless, it’s still one of my go-to places to buy petite-friendly clothing at reasonable prices. 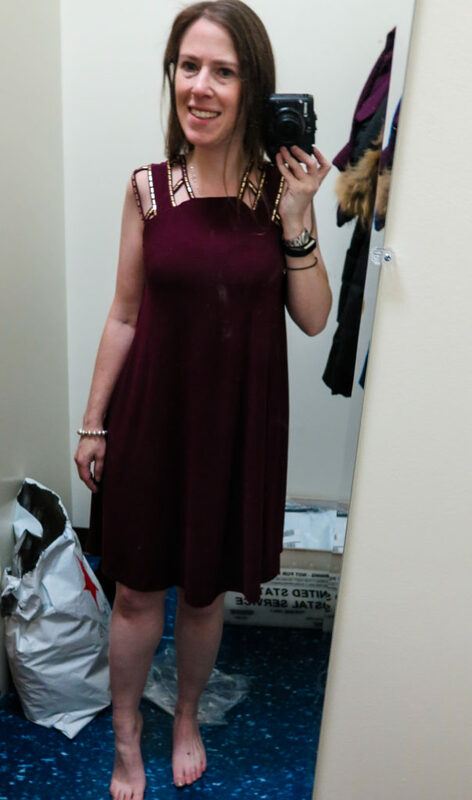 I adore this dress! 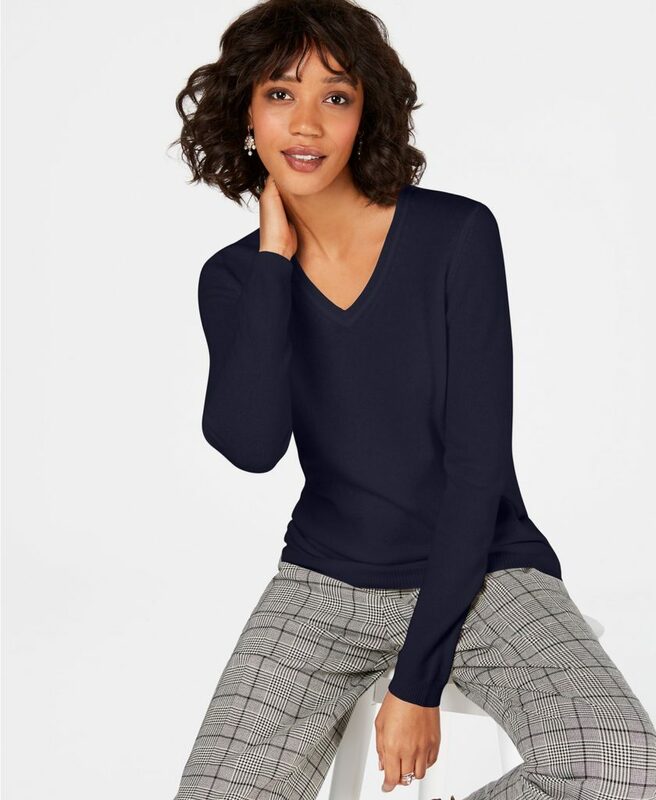 The gentle a-line is flattering, and the colour is perfect. The high-low hankerchief hem adds some visual interest. I think this is the kind of piece that can easily be dressed up or down. This one came home with me. 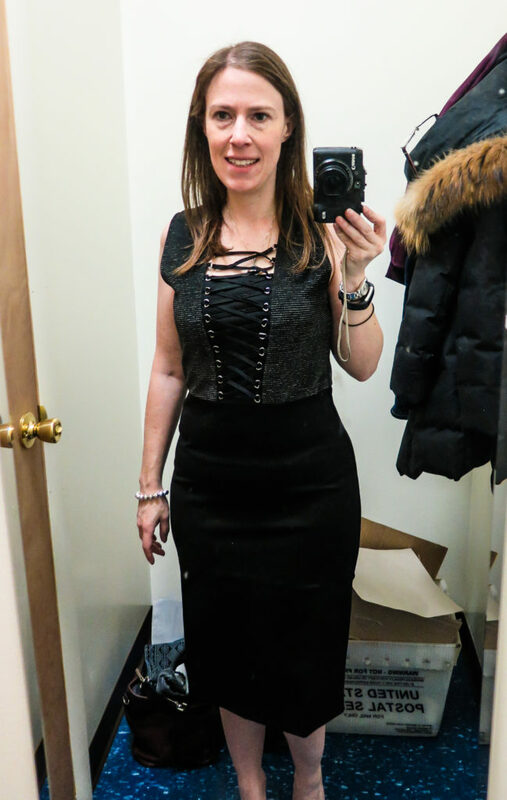 I think I really need a fitted waist, or at least a more tailored a-line. 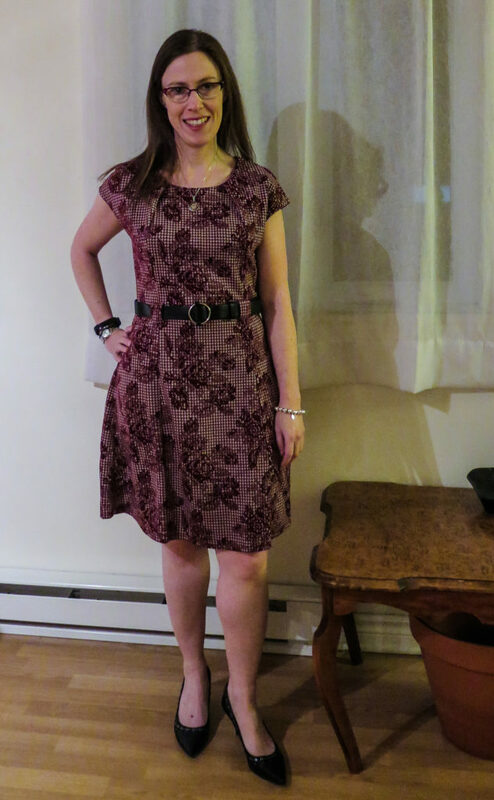 This shift dress style just doesn’t work on my petite frame at all; it felt baggy and shapeless and hung like a sack. I unfortunately sent it back. 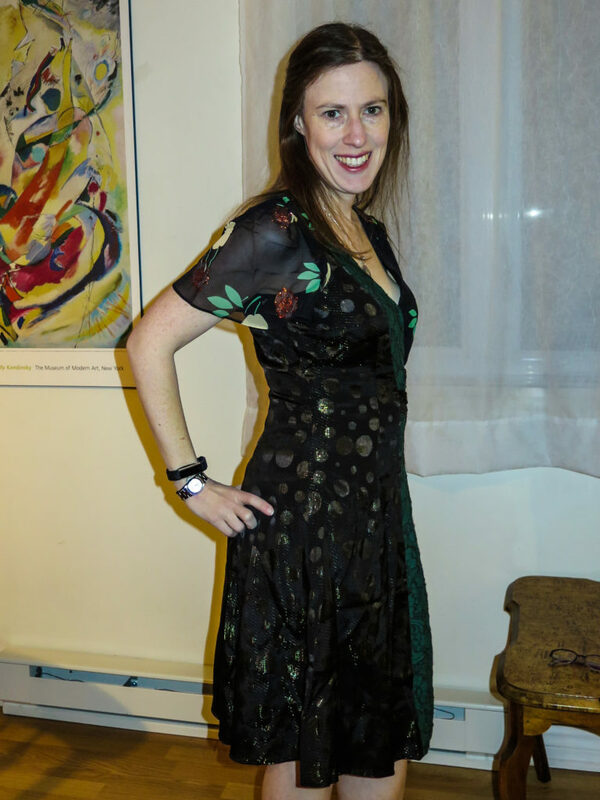 The dress appeared to be knee-length on the website, but this is one of the pitfalls of showing petite clothes on tall models, because on me, it was an unflattering midi length. 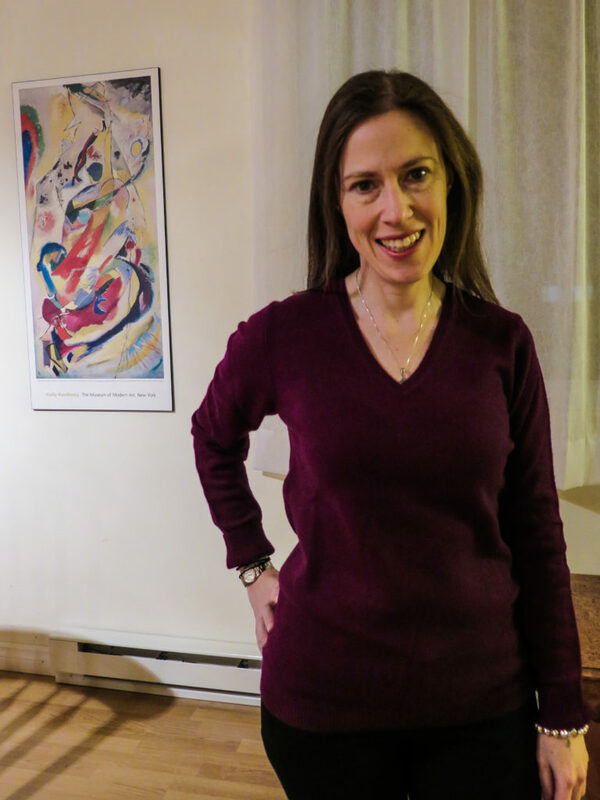 The straight pencil skirt clung to my hips uncomfortably. 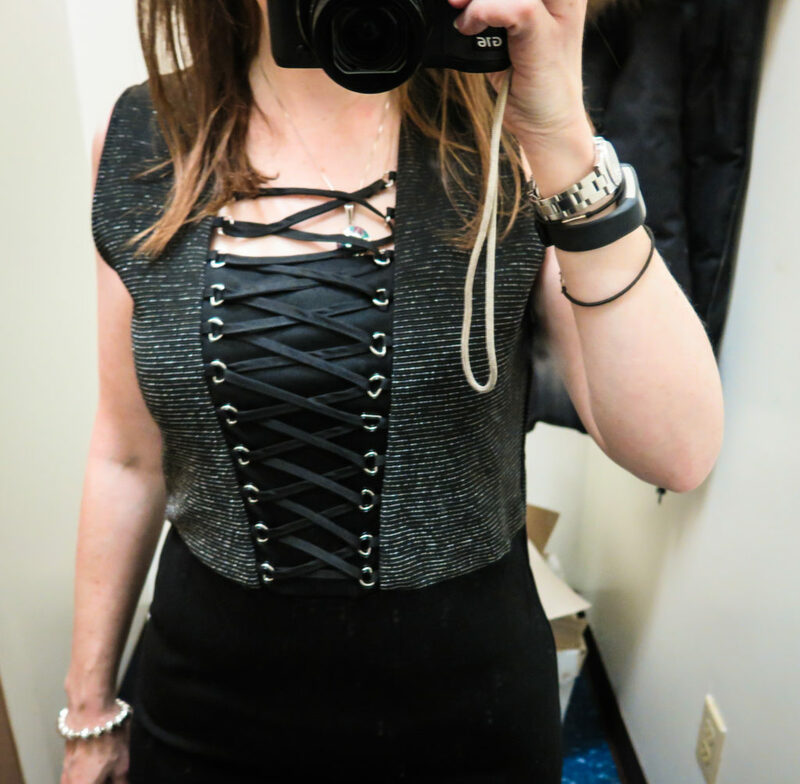 And the corset top is far more risqué than what I would normally wear, not to mention, the top half was too long and the waist fell too low. It’s almost as though they accidentally sent me a regular length instead of a petite dress, despite what the tag said. Besides, even if it had fit better, I can’t really think of any occasions where I’d dare to wear this. It feels like the kind of piece I wish I were brave enough to pull off… but I know I probably never will. I sent it back. Simple wardrobe staples that actually fit. And hey, a girl can never have too many tees. 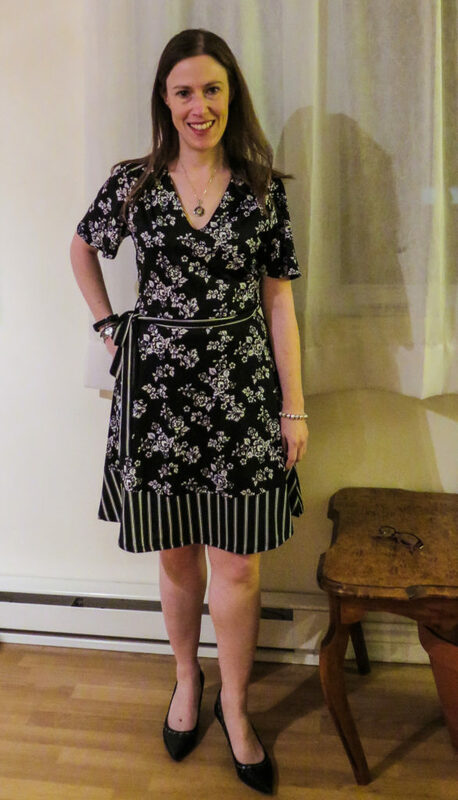 In the summertime, I tend to appreciate these easy, work-friendly dresses that I can just throw on and go. 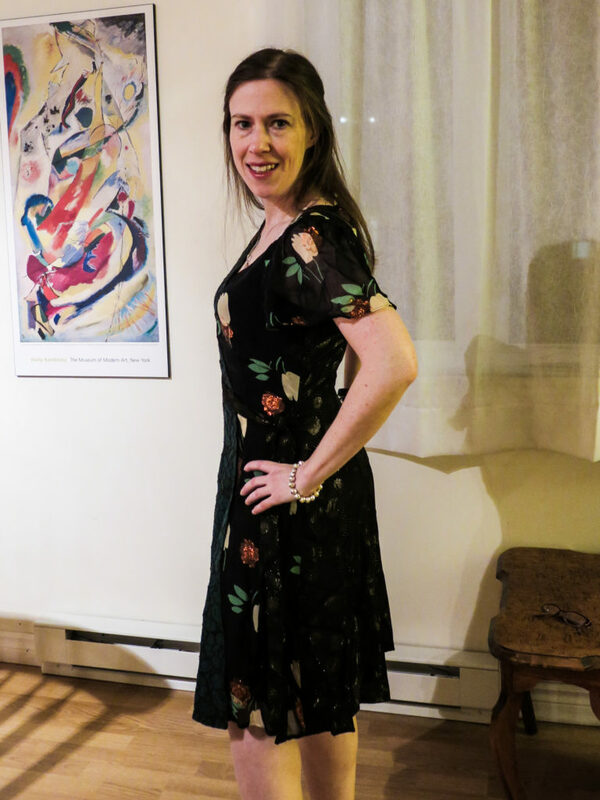 This dress is a bit different from my usual fit-and-flare silhouette as it has a straighter skirt, making it more of a sheath dress than an a-line. It also has a nice jacket lapel along the front, making it a bit more professional-looking. 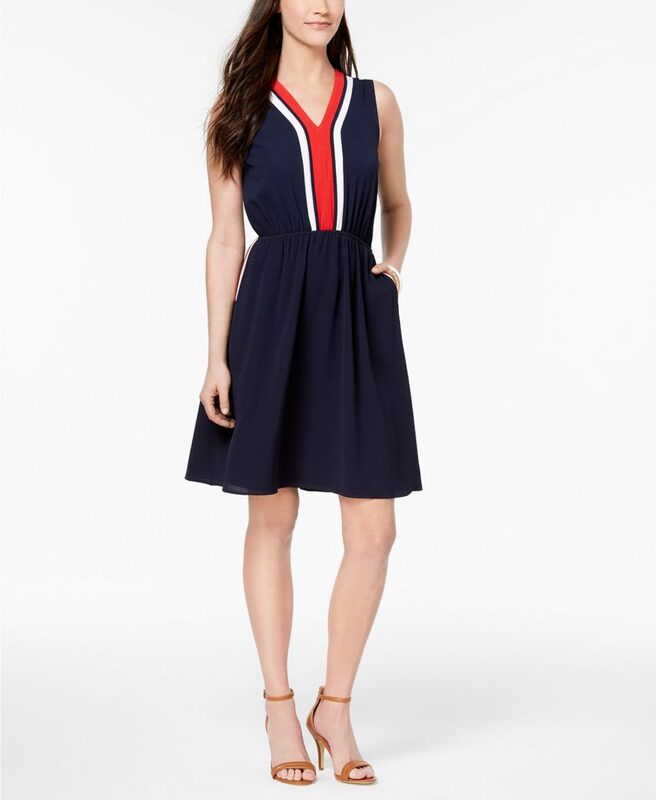 Wrap dresses can be tricky because the front is always falling open. This one had a bunch of snaps to keep it closed, but the wrap was still too low cut. The sheath silhouette, as I feared, did not flatter me. The fabric was also thicker and heavier than I thought it would be, which makes this less ideal for hot summer weather. In the end, I just didn’t like it enough, so I decided to return it. Oh well, better luck next time. I already own these in a half-dozen other colours, and I’d probably buy more, if the available colours didn’t include so many pastels. Actually, these two are replacements for ones that were starting to pill. I know I’ll wear them into the ground, so I’m buying while the prices are good. Monteau is a new brand for me. I don’t remember them having petite clothes before, or, if they did, nothing ever caught my eye enough to make me want to try it. This year, though, I decided to purchase a couple of items, in hopes of finding a new brand to add to my rotation. 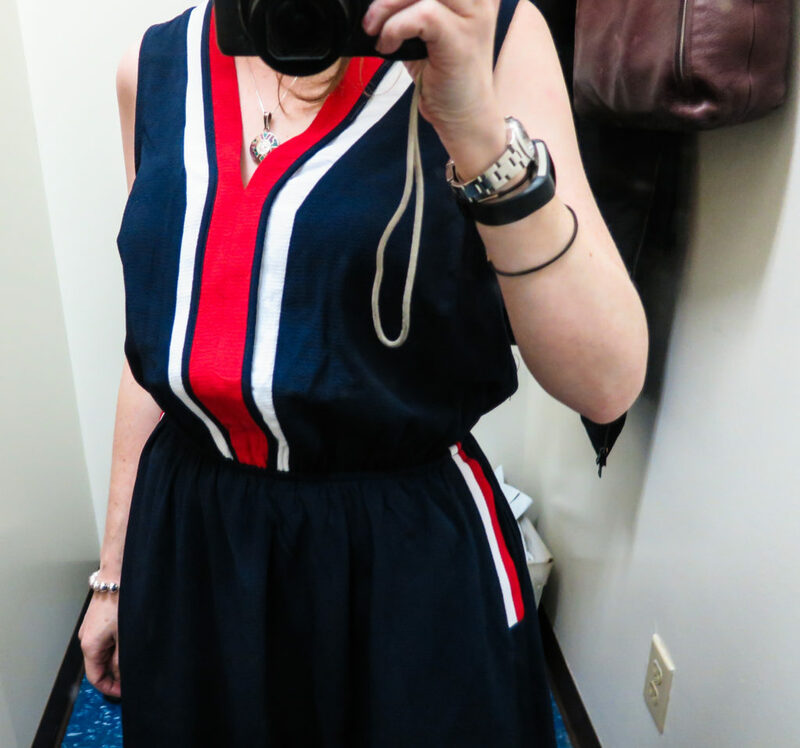 I’m always looking for easy-wear summer pieces. And this dress looked like it would be perfect. Cool, comfy, cute. It even has pockets! The top of the dress was way too big. 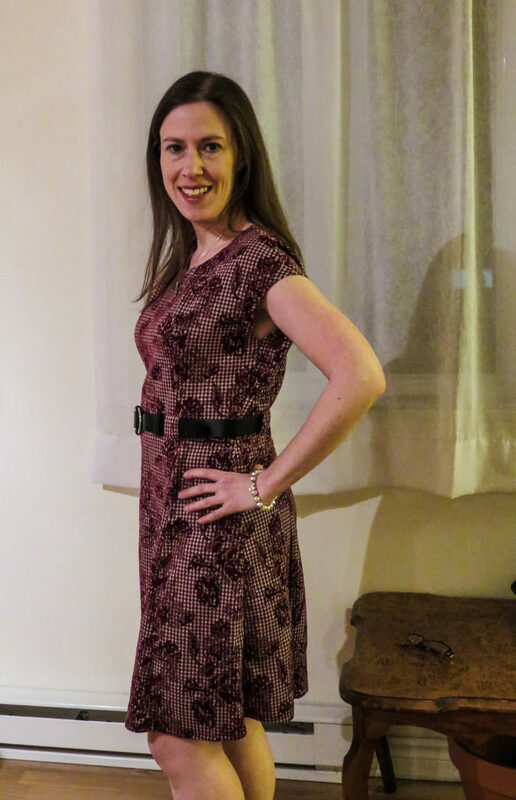 Combined with the gathered elastic waistband that fell awkwardly at the wrong spot, it created a baggy, gaping effect in the front that was just awful on me. 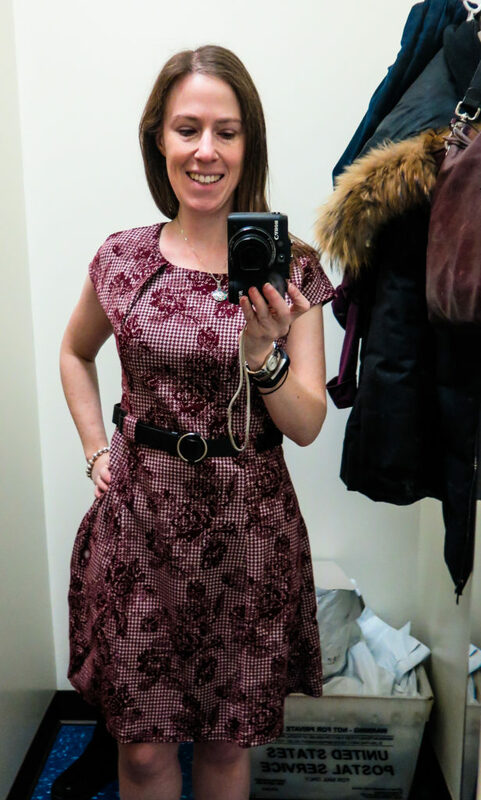 Everything about the fit of this one was off, and it went straight to the returns pile. The fabric is slinky and light. I like that it has a short sleeve, since I often prefer not to go sleeveless in the summer. 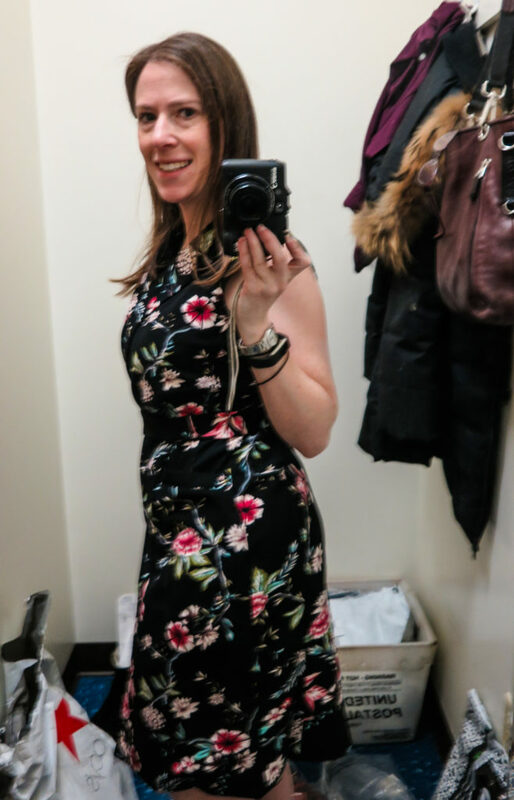 Sure, it’s not that different from a few other dresses I already own. But at these prices, why not add a couple more dresses into the mix? I decided to keep this one. 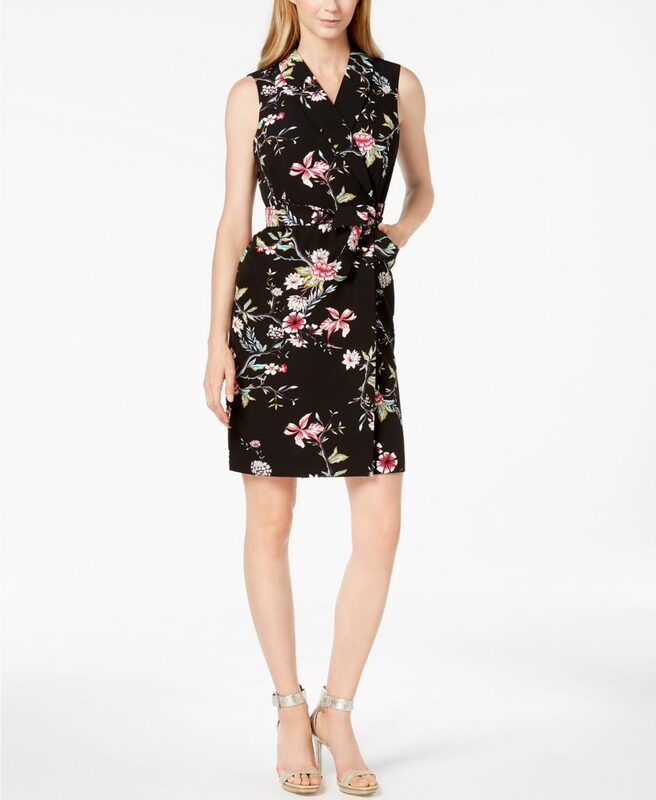 This is a chic dress that will be perfect for the office in the spring, summer and early fall. The fit is perfect. 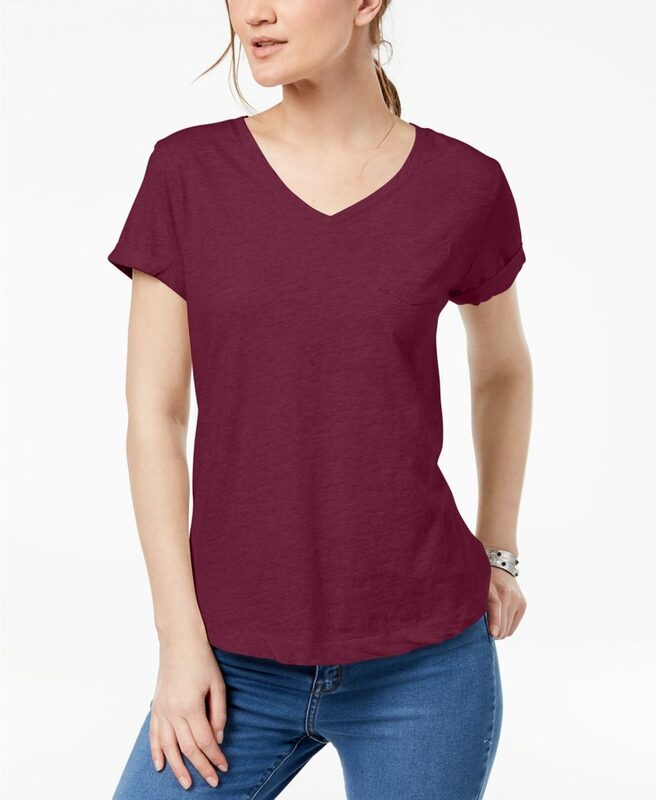 The fabric comfortable and soft with a bit of stretch to it, and while I wish it were lined, it still falls pretty well. I can’t believe it was under thirty bucks! 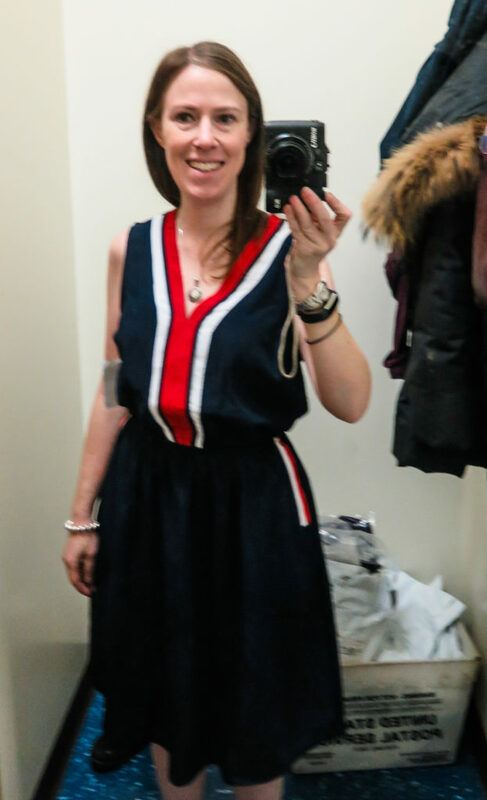 I actually rushed back to the Macy’s site after trying this on to see if they had it in any other colours left in my size. Alas, they were long sold out. The thing is, this actually fits me really well. Like, perfectly. But I decided to send it back anyway. The thing is, I find the style is either too old or too young on me. I haven’t decided whether it makes me look like a grandma or a child. But both those things are just wrong. 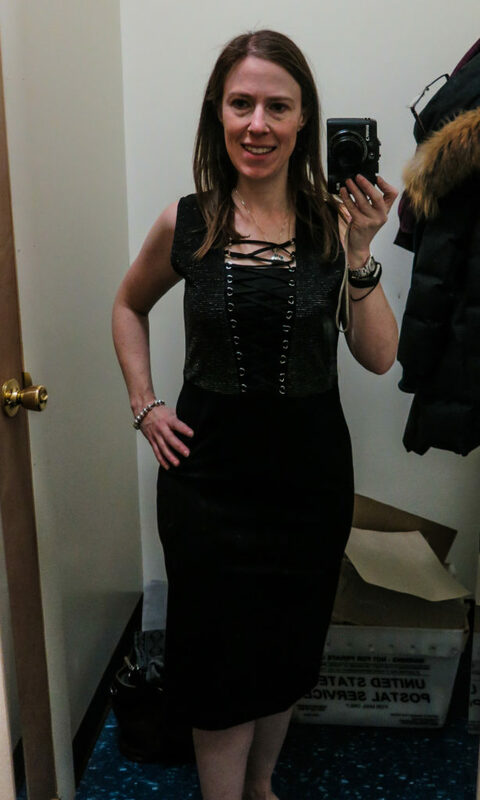 Also, I tend not to wear little black dresses very much since I’m so pale that black washes me out; I much prefer a neutral like grey, navy, burgundy, or (my favourite) purple. 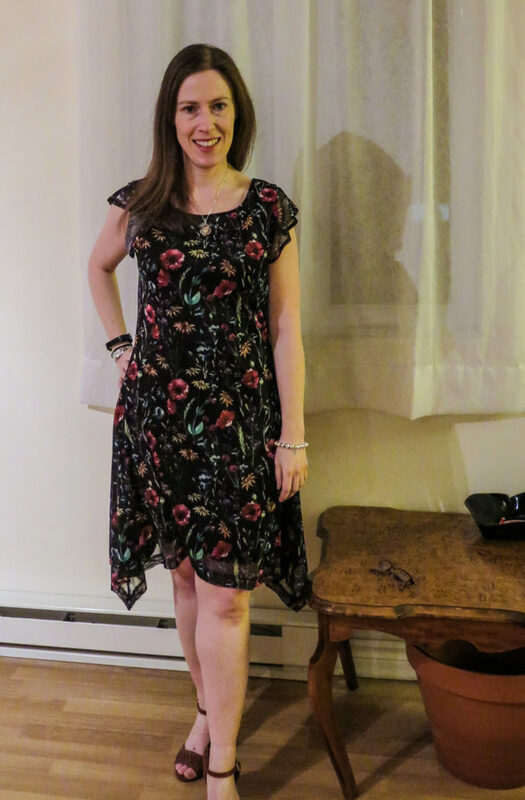 There was a lot to like about this dress, but I just couldn’t see the right occasion to wear it. 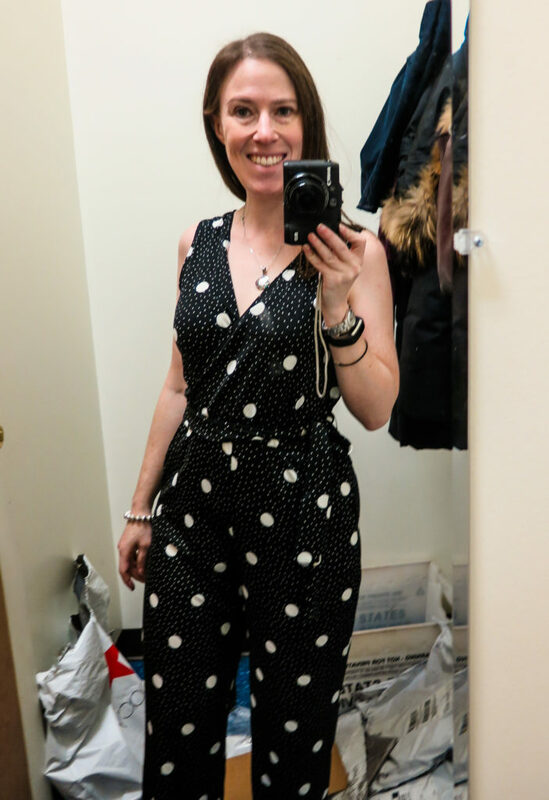 I have avoided the heck out of the jumpsuit trend, even though they are literally everywhere this year. 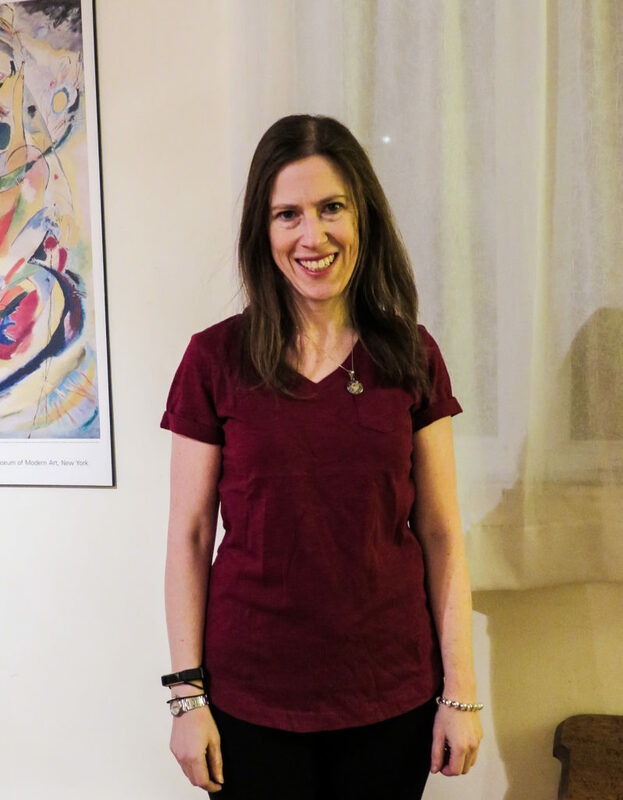 It’s one of those fashion trends, like midi skirts or oversized tops, that I find really doesn’t work as well in real life as it does on the runway. 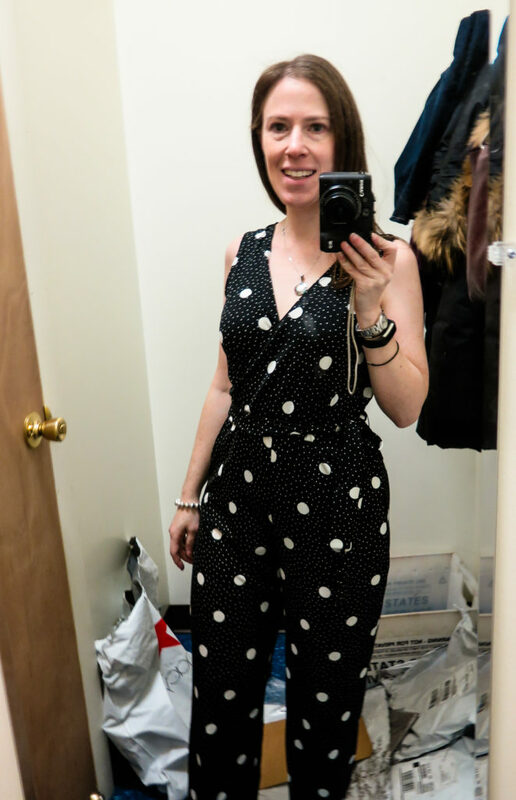 Plus, jumpsuits are incredibly hard for petites to find in the right fit — a short torso means we will normally have yards of extra fabric bunching up around the middle, which is not flattering. But I took a chance on this, since it was cute. And cheap. 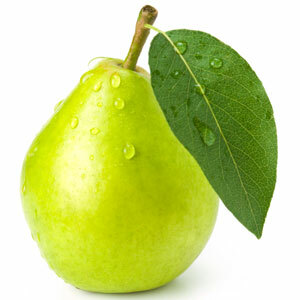 And petite-sized. And it’s… not half bad? I guess? The belt cinches in at the right place at the waist. The pants aren’t too long. And I won’t deny that it’s comfy and makes a fun change from dresses. But honestly, I don’t think it’s very flattering. It makes my middle and bottom half look bigger, and I can’t say I’m a fan of the 360-degree mirror view of this. 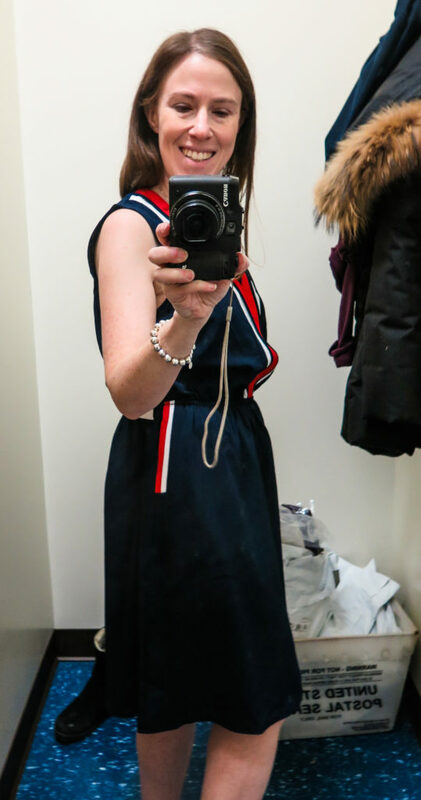 I think that if I kept it, it would go unworn in my closet and would end up being one of those “why did I ever buy this” pieces that makes me feel slightly embarrassed to have become a fashion victim. Realistically I couldn’t see myself actually wearing this, so I sent it back. 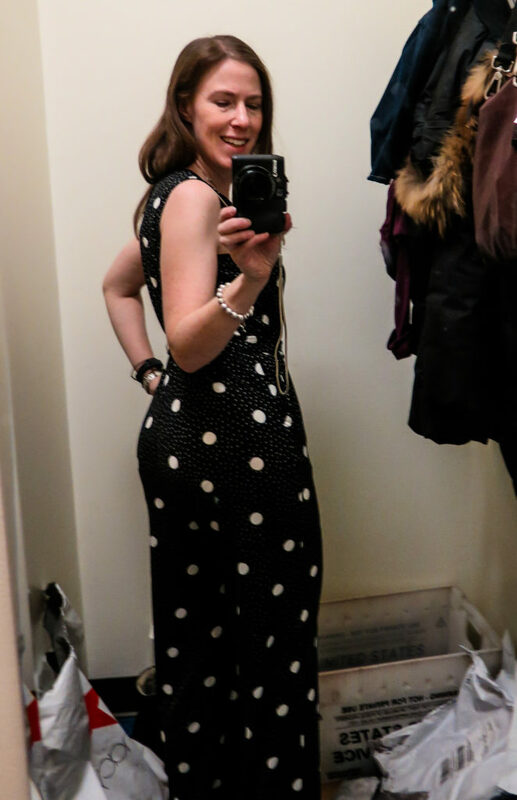 I don’t think I’m a jumpsuit kind of girl after all. The only other order, besides Macy’s, I shipped to the border this year was a spontaneous Cyber Monday purchase from Anthropologie. I have a complicated relationship with Anthropologie. I appreciate the heck out of the fact that it is one of the few brands collaborating with designers to make unique, fashion-forward pieces in petite sizes. However, its loose, flowy boho chic styles tend to look better on the models than they ever do in real life on me. The prices are eye-wateringly high, even during sales and promos. 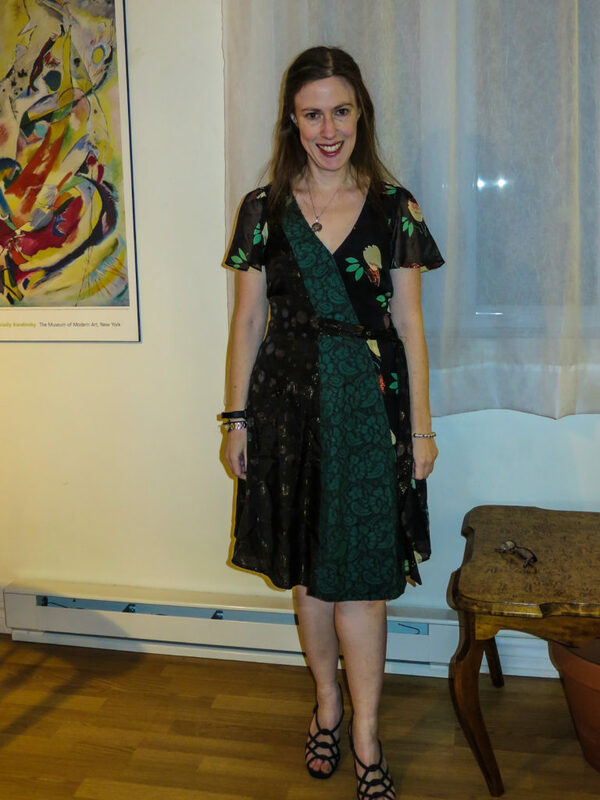 And, while Anthropologie does have stores in Quebec, including one in downtown Montreal, they don’t carry petite sizes here. And the only way to order from their website in Canada is by shopping in USD and taking the hit on shipping, taxes, duties, and frustratingly difficult (and expensive) returns. As a result, I tend not to shop at Anthropologie much. But they were having a pretty sweet Black Friday sale, 30% off sitewide (which is good by their standards). 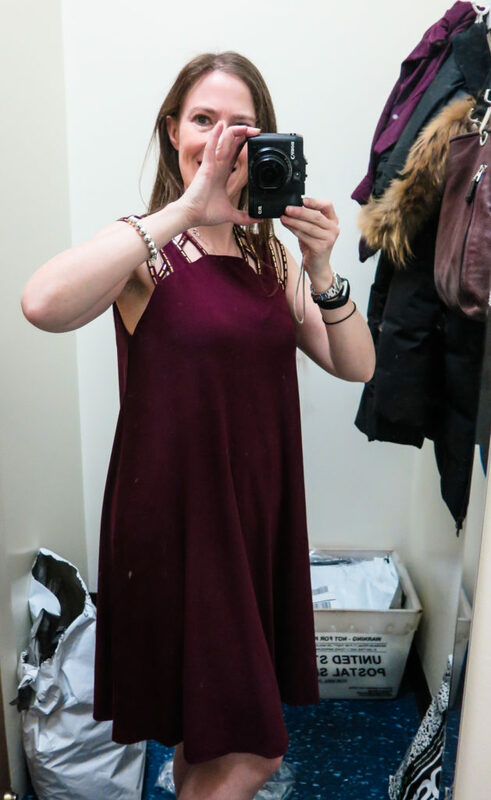 And I absolutely fell in love with this dress. By the time Cyber Monday rolled around and I still couldn’t get it out of my mind, I decided to gamble on ordering it to ship to the US. That way, I figured, if it didn’t fit, I could at least return it for free. It’s beautiful. Truly beautiful. I love the fabric, the multi-layered prints, the design, even the belt tie being on the wrong side doesn’t bother me too much. 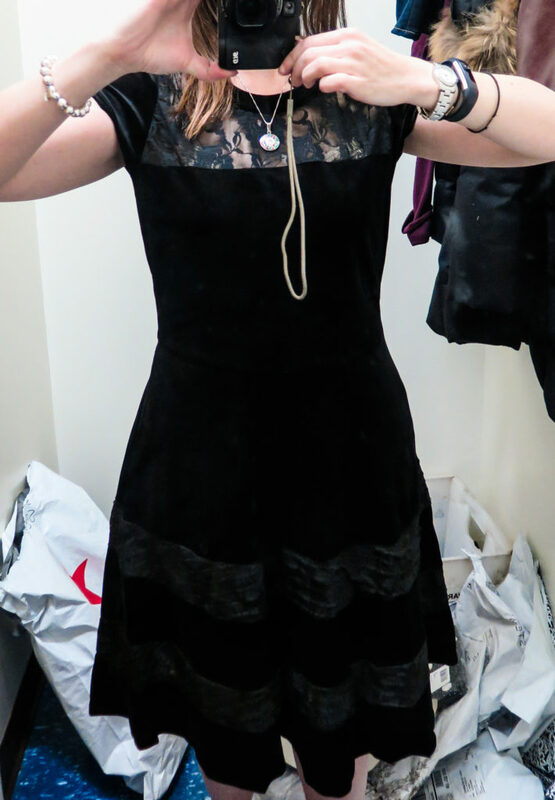 Words cannot describe how much in love with this dress I am. Seriously, it’s amazing. 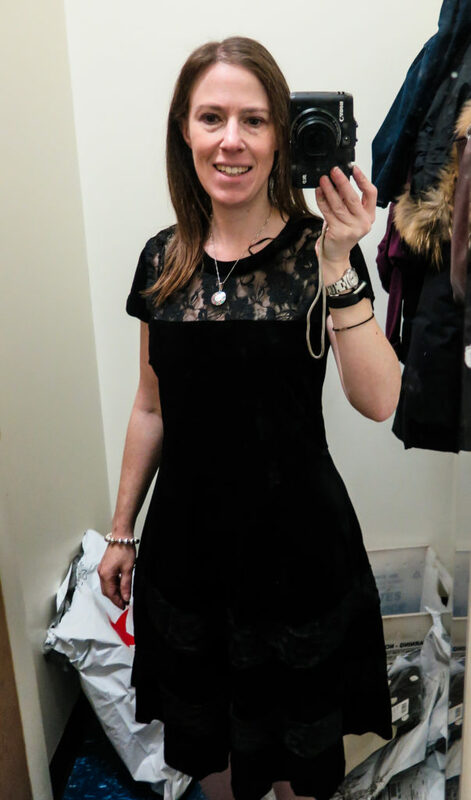 Except for one thing: I initially had ordered it in my usual size 4P, but it was too big. 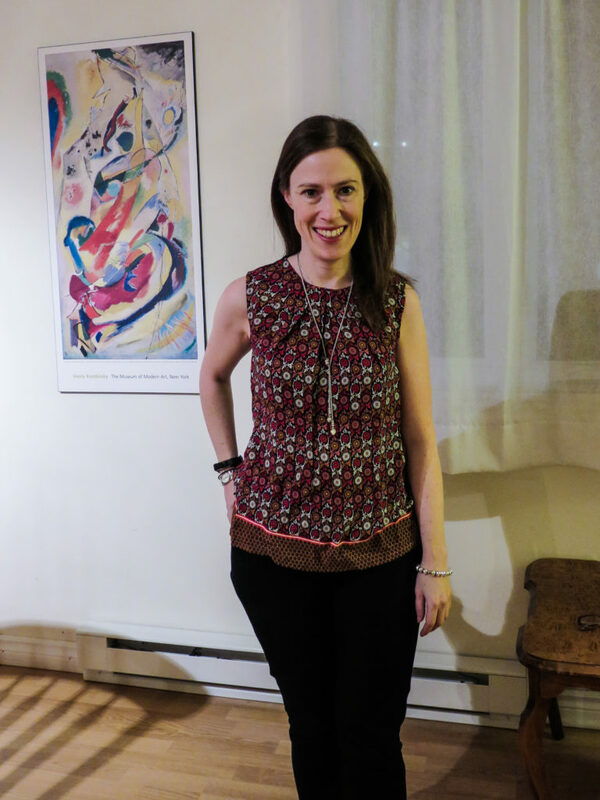 Anthropologie’s sizing can be tricky — I find it runs big, even for petites. 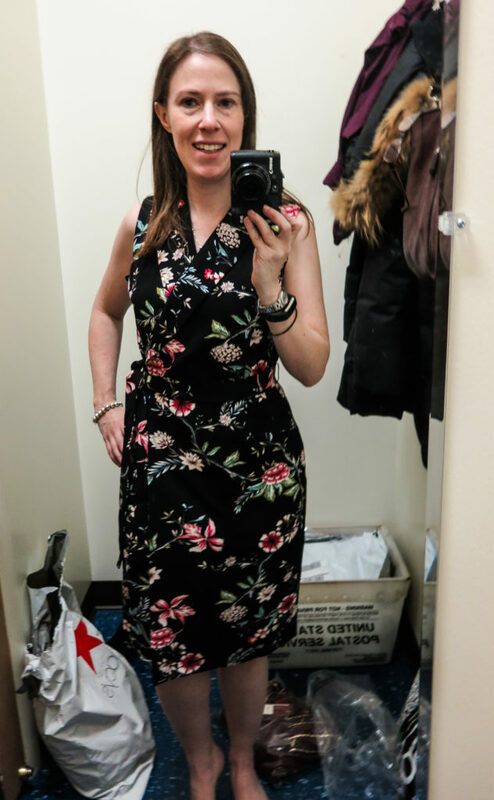 But I loved this enough to reorder it in a size 2P, which I picked up this past weekend and, as you can see, is almost a perfect fit. The v-neck is just a teensy bit too low, but I think I can take up the shoulders a bit and that will solve it. 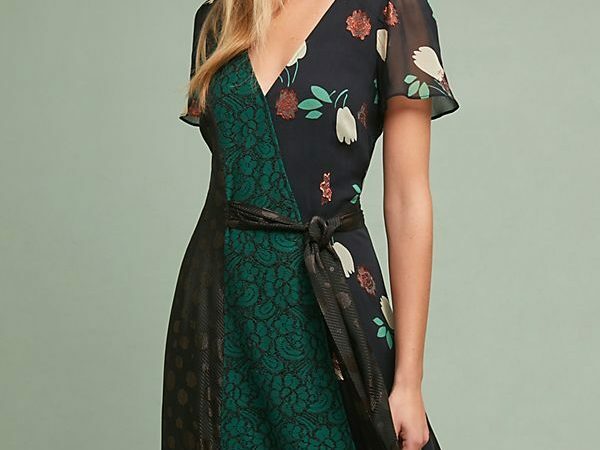 Exchanging for size with Anthropologie is a bit of a pain — you have to pay a return fee even in the US, and order the new one separately — so my recommendation to petites ordering from Anthropologie is to size down to avoid these issues. 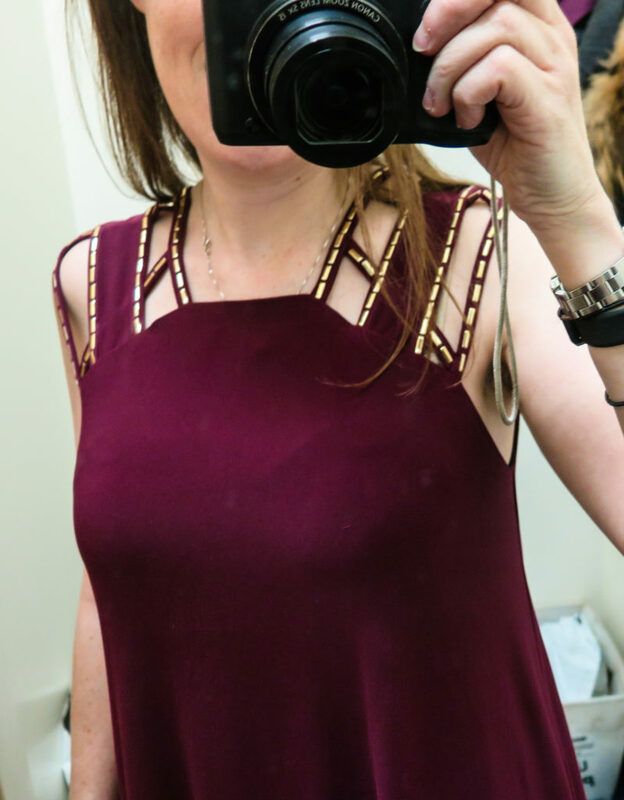 I’m glad I sized down to a Petite XS on this. 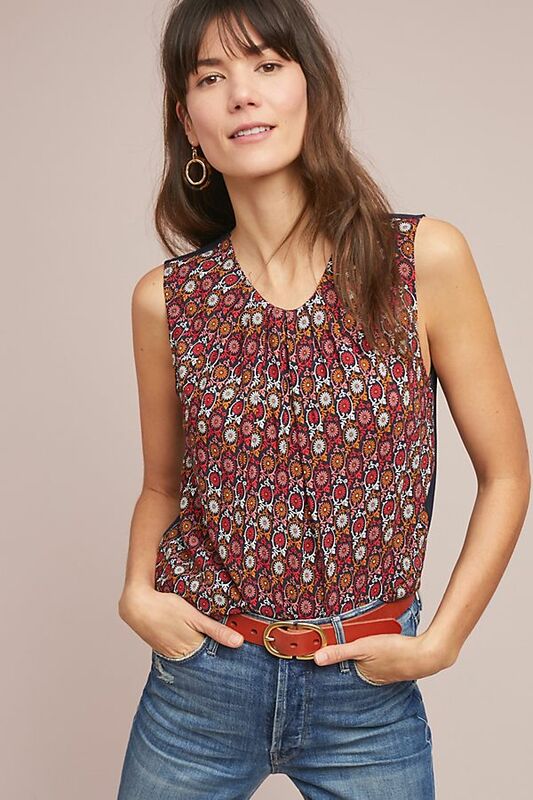 It’s a basic printed sleeveless blouse, which will go fine under a blazer or jacket. I admit it, I bought it mostly for the style name, “wanderlust”, as well as to get my order total over the shipping threshold. But I actually quite like the way it fits. It’s a bit tough to justify paying this much for a blouse. But I think it will get a decent amount of wear in my wardrobe. Black Friday 2018 has not been as fruitful as 2017. The deals weren’t as good, the fashion trends not as flattering, and some of the new brands I tried to introduce into my mix were flops. On the bright side, I did manage to pick up a few wardrobe staples at rock-bottom prices. I added four new unique, chic dresses that I absolutely love. So, not a bad haul overall. And to cap things off, I managed to time my pickup for a weekend when I knew I’d be in the US for longer than 48 hours, getting everything home under my exemption limit and avoiding having to pay taxes and duties, which is a win in my book. This will have to tide me over, ’cause I’m definitely done shopping for a while. You definately selected the best of the bunch and the most flattering.